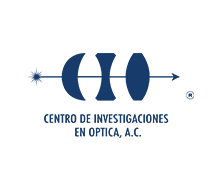 “Centro de Investigaciones en Óptica, A.C., CIO”, with business address at “Loma del Bosque 115, Colonia Lomas del Campestre, León, Guanajuato, México, CP. 37150,” is responsible for the treatment of personal information collected from you, which is protected in accordance with “Ley General de Protección de Datos Personales en Posesión de Sujetos Obligados”, Mexico’s general law for the protection of personal information in possession of authorities and institutions regulated by such law, and whatever other regulations deemed applicable. What personal information do we collect, and to what end? Purpose Is information owner’s consent required? Be advised that no sensitive personal information will be collected. Who do we share your personal data with and to what ends? Be advised that no personal information transfers will be made, excepting those that are needed to fulfill information requirements from competent authorities, when they are duly founded and justified. What is the foundation for the treatment of personal data? “Estatutos del Centro de Investigaciones en Óptica, A.C.”, “Manual de Organización del Centro de Investigaciones en Óptica, A.C.”, “Lineamiento Académico de Posgrados”, Lineamiento General de Becas Institucionales del Centro de Investigaciones en Óptica, A.C.
Where can I exercise my ARCO rights? 1. Name of the owner of the personal data, and where appropriate, name of his legal representative, including their addresses, e-mail addresses and /or whatever any other means for communications and notices to be served. 2. Attached official identification document for the owner of the information and, where appropriate, for her legal representative. 3. Clear description of the personal data, as well as of the ARCO rights to be exercised. VI. Any other element or document that will aid in locating the personal data. In such case, when it is a request for the access to personal data, it shall point out the preferred mode for the reproduction of the information; regarding a request for cancellation, it shall point out the causes justifying the removal of the owner’s personal data from the files, records or data bases; in the case of objections, the request shall state the legitimate causes for, or the specific circumstances leading to, the request for cessation in the treatment, as well as the perceived harm or damage that continued treatment might inflict on the owner of the information, or where appropriate, the specific purposes with regard to which the right to objection is meant to be exercised; finally, if it is a request for rectification, it is suggested that documents supporting the requested modification be included. Responses to requests will be given via e-mail, preferably, or via regular mail if the interested party does not have an e-mail address. The mode or means of reproduction of personal data will be preferably digital, or in writing (hard copy) in case the interested party does have any means to access the electronic media, which is to be specified in the request. Twenty (20) working days as of the day following the reception of the request. The term may be extended, only once, for up to ten (10) days when circumstances so justify it, as long as the owner of the personal data is notified within the prescribed response time. Finally, please be advised that you are entitled to submitting an appeal for review before INAI (“Instituto Nacional de Acceso a la Información”) when you are not satisfied with the response, directly on the premises of the institute or through the “Plataforma Nacional de Transparencia.” Go to www.inai.org.mx or call 01-800-835-43-24 for further information. How can changes in this privacy notice be known? This privacy notice can be modified, changed or updated as a result of new legal requirements or other causes. We commit to keeping you up to date, via e-mail, of whatever changes this privacy notice may have.